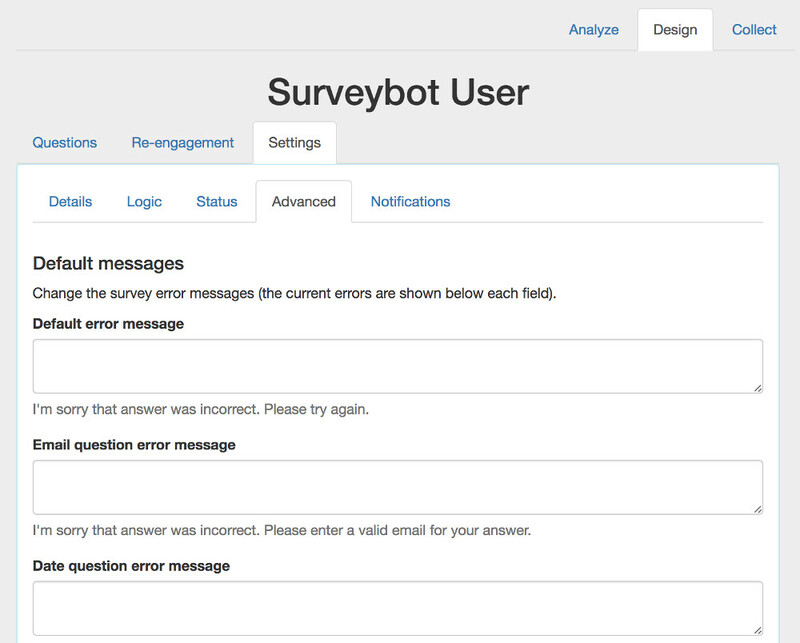 Can I create my survey with a different language? Yes you can. 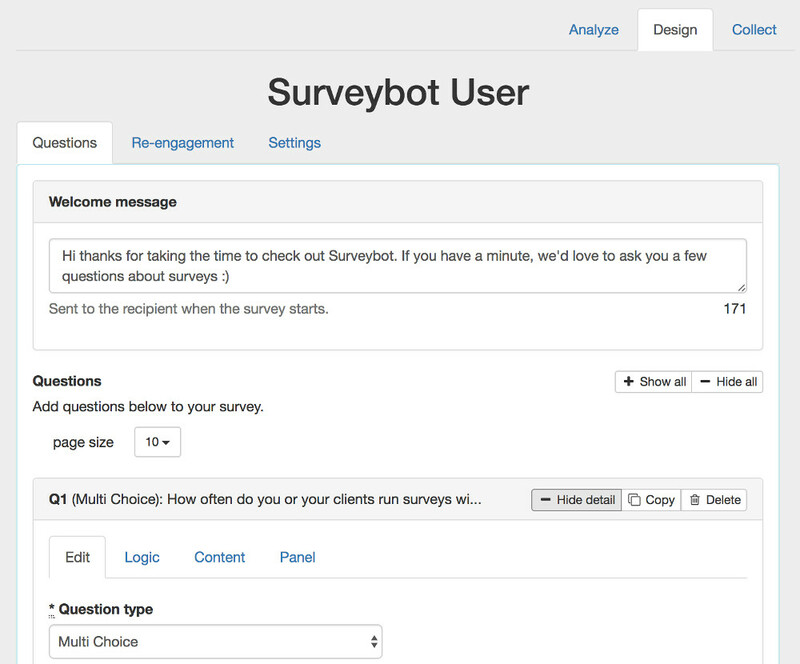 Although Surveybot doesn't do language translation on it's own you have the ability to add all of the content for your Survey in the language that you prefer. There are 2 places in which you'll need to do this.